We offer most of our cosmetic procedures through our medical spa, Accent Aesthetics, located down the hall in suite 380. Occasionally we offer the below procedures in our medical office. A prescription medicine that is injected into muscles and used to improve the look of the “11s,” the moderate-to-severe frown lines between the eyebrows (glabellar lines). It works by blocking nerve impulses to the injected muscles. This reduces muscle activity that causes moderate to severe lines to form between the brows. If you’d like to restore youthful fullness to your face, enjoy plump lips, enhance shallow contours or soften those facial creases and wrinkles, dermal fillers may be the answer. Dermal fillers have been called “liquid facelifts” because they offer many of the benefits of a surgical facelift without the downtime. Although they can’t help with excess sagging skin, these soft tissue fillers can add more volume and provide immediate results at a lower cost than surgery. These treatment aren’t permanent, however, and they must be repeated and maintained. Some dermal fillers are used in conjunction with other skin rejuvenation treatments.Your doctor will assess your needs and recommend one or a combination of treatments to achieve your desired results. This is one method of treatment done to remove the small reddish to bluish colored blood vessels on the thighs, calves, and ankles. This treatment consists of injecting a sclerosing solution into the veins via a small needle. 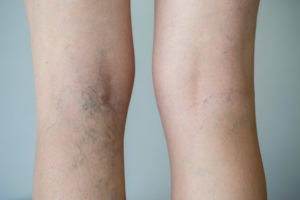 Most patients are pleased with the final results ranging from a subtle fading to a complete disappearance of part or all of the tiny blood vessels. I don’t wish you to have an unrealistic expectation that after sclerotherapy your legs will look exactly as they did when you were younger. The goal is to produce 75-80% improvement; it can take several months to see maximum improvement.